The origins of The Royal Green Jackets (Rifles) Museum date back to the aftermath of the First World War. In 1917, before even the First World War had ended, the British Government decided that a National War Museum should be set up to collect and display material relating to the Great War. The interest taken by the Dominion governments led to the museum being given the title of the Imperial War Museum. Established by Act of Parliament, the museum was opened in the Crystal Palace by King George V on 9 June 1920. The creation of the Imperial War Museum was the catalyst for many regiments in the British Army to start accumulating their own collections of war artefacts and archival material. The antecedent regiments of The Royal Green Jackets – The Oxfordshire & Buckinghamshire Light Infantry, The King’s Royal Rifle Corps and The Rifle Brigade – all did so during the 1920s. The Oxfordshire & Buckinghamshire Light Infantry Museum was created in 1925 in a room in the Officers’ Mess of the Regimental Depot at Cowley Barracks, Oxford. By 1938 more space was required and it moved into a barrack room. In 1968 the museum moved from Cowley Barracks to Slade Park Barracks, Oxford, where it remained until the barracks was closed in 2008. Thereafter the collection was placed in storage at Bicester for three years before being moved to Woodstock. For many years The King’s Royal Rifle Corps and Rifle Brigade collections were housed wherever space could be found for them in the buildings at The Rifle Depot, Winchester. It was not, though, until after the rebuild of Peninsula Barracks in 1964 that a semi-permanent home for the collections was established on the first floor of the Depot headquarters building, the building now occupied by The Royal Green Jackets (Rifles) Museum. The KRRC and RB museums in 1970s. 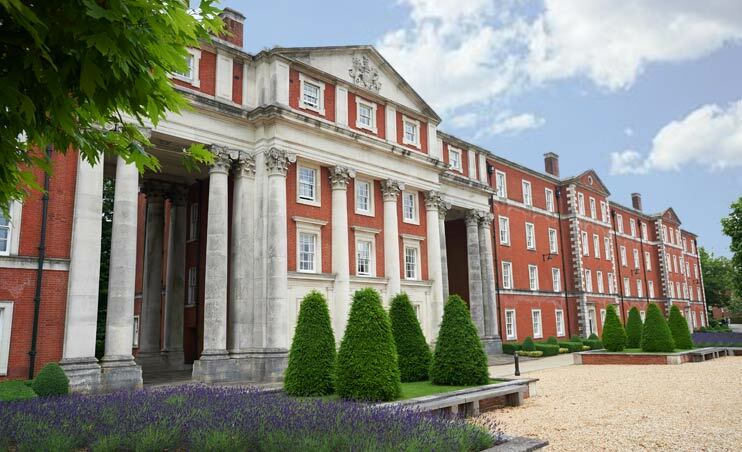 In 1986 the opportunity arose, with the closure of Peninsula Barracks as a training depot, for The Royal Green Jackets to establish a permanent regimental museum in the former Depot headquarters building. 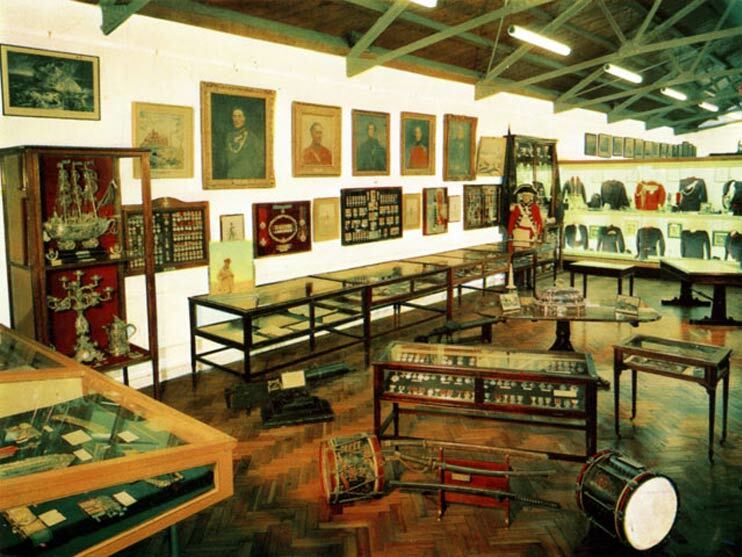 The Ministry of Defence approved and in 1989 The King’s Royal Rifle Corps and Rifle Brigade collections were united in a single Royal Green Jackets Museum occupying one half of the ground floor and the whole of the first floor of the building. The Oxfordshire & Buckinghamshire Light Infantry also contributed by lending a significant part of its Oxfordshire collection for display in the museum. On 1 December 1989 Her Majesty Queen Elizabeth II, Colonel-in-Chief of The Royal Green Jackets, opened the new museum. Since 1989 there have been a number of changes within the museum, including the introduction of new displays and exhibits. However, the basic layout and space available have not changed. In 2004 the Oxfordshire & Buckinghamshire Light Infantry transferred ownership of its collection in Winchester to The Royal Green Jackets Museum. In 2007 it transferred ownership of the remainder of its collection in Oxfordshire to the museum. The Royal Green Jackets (Rifles) Museum, therefore, owns the museum collections, including the archives, of all the former regiments of The Royal Green Jackets. The Oxfordshire collection, however, remains in Oxfordshire available to the Soldiers of Oxfordshire Museum Trust for use and display in the Soldiers of Oxfordshire Heritage Centre, Woodstock, that opened in 2014. In 2009 the Museum’s trustees decided that the title of the museum should change to The Royal Green Jackets (Rifles) Museum. The change reflected the desire in Government and within the Ministry of Defence that museums should ‘connect our past with our present and our future’. The inclusion of the word ‘Rifles’ does this by identifying The Royal Green Jackets (Rifles) Museum with the history of the British Army’s first Rifle regiment, The Rifle Brigade, through the present to the future as a part of today’s regiment, ‘The Rifles’, into which The Royal Green Jackets was merged on 1 February 2007. Really worth a visit. Lovely location. Easy parking. Friendly staff and fantastic displays.